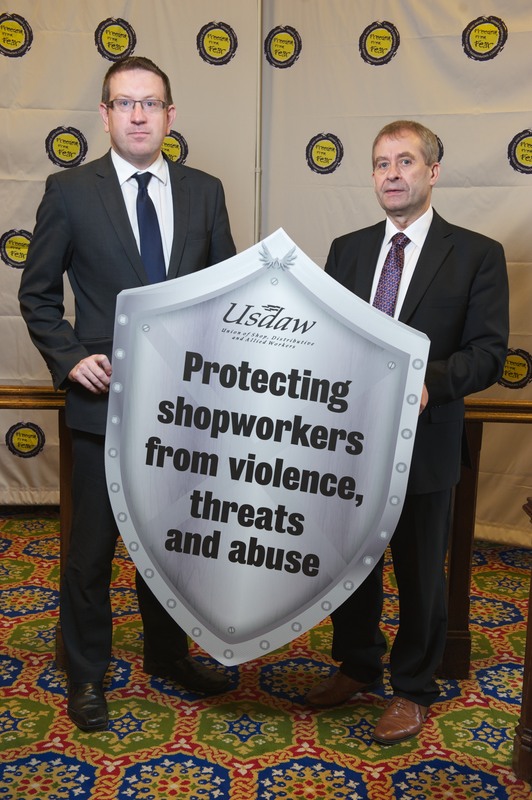 Andrew Gwynne MP has joined with members of the retail union Usdaw to campaign for respect for shopworkers as part of the Freedom From Fear Campaign, which seeks to prevent violence, threats and abuse directed at retail staff. Attending a campaign event in the House of Commons, Andrew Gwynne has pledged to support a protection of workers bill that would introduce a specific offence of assaulting a worker serving the public, thereby extending existing protections for police officers, immigration officers and Scottish emergency service workers. “We are grateful to Andrew for supporting our campaign to keep our members safe at work.